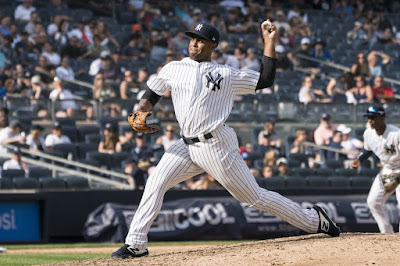 The Yankees today announced that left-handed pitcher Stephen Tarpley is the recipient of the 2019 James P. Dawson Award, given annually to the most outstanding Yankees rookie in spring training. Tarpley, 26, held opponents scoreless in 11.1 innings pitched over 10 spring training appearances (one start), allowing just 6H and 1BB with 8K, and was the only Yankee to toss at least 10.0 innings this spring without giving up a run. The Los Angeles, Calif., native made his Major League debut with the Yankees in 2018, and he did so well in September that he earned a spot on the postseason roster. In conjunction with the award, Tarpley received a watch from Betteridge Jewelers. Recent winners on the current roster include and Miguel Andujar last season, Gleyber Torres in 2017, Masahiro Tanaka in 2014, and Brett Gardner in 2009.